Darling card...love those little popped up apples! Thanks for Playing in Paradise with us! That is just so darn fun! Apples? What a perfect idea for back-to-school even! 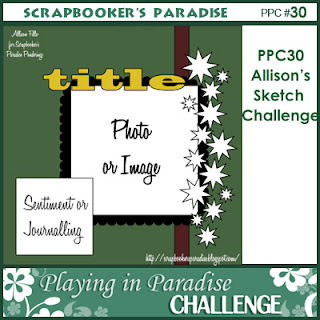 Thanks for playing at the Scrapbooker's Paradise Playing in Paradise Challenge! Love those pretty pics of BC too! That's a beautiful card. I love all the apples. Thanks for playing along with us for this week's Playing in Paradise challenge!